This year, the ultimate collector’s edition release of Disney’s The Little Mermaid splashed its way into the Walt Disney Signature Collection with a new release on 4K ultra HD & Blu-Ray during the same month we were planning my daughter’s birthday! I was excited to be able to celebrate the 30th anniversary of my favorite childhood movie, which taught me to always want more than material items, follow your heart, and find your voice. When she asked for an Ariel party, I couldn’t have been more delighted. Check out what we planned for her very first friend birthday party ever! If you are looking for Little Mermaid party planning tips, you are in the right place! 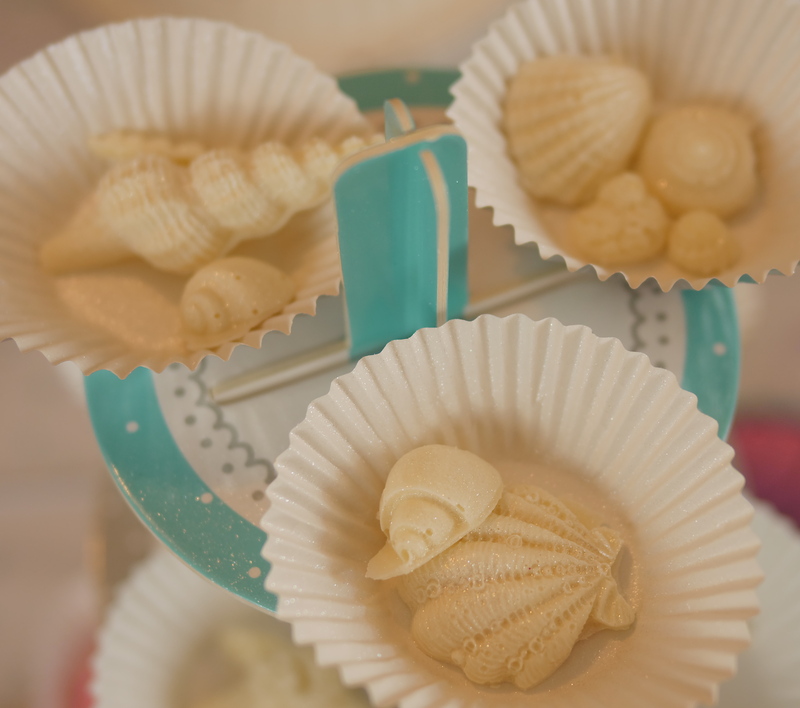 Check out what we ended up doing for our Disney Little Mermaid Ariel Princess party. First, I made sure to have the movie The Little Mermaid! With the anniversary ultimate collector’s edition, you get the award-winning songs, original recording sessions, sing-along mode, and more. As a simple activity when all the guests arrived, I had out a large pack of crayons and 20 sheets of these free The Little Mermaid free printable activities. These also make great additions to the goodie bags. I also used The Little Mermaid Favor Kit, which came with brushes, jeweled hair clips, seashell rings, flower bracelets, spinning tops, and 5″ blowouts. To give the room a festive and celebratory look, I put together the Celebration Tabletop Balloon Arch. Next to the table, the Ariel The Little Mermaid Stand Up added to the excitement for the party! On the wall, I hung the Little Mermaid Ariel Scene Setter with Photo Booth Props, which comes with 12 fun photo props, like Ariel, forks, crowns and more! Since this was her very first friend birthday ever, we made sure to document it with lots of photos. Having a photo booth section set up also gave us one more activity to do with the party guests, who all enjoyed the props! Next I decorated the table with The Little Mermaid Table Decorating Kit. It came with two 3-D printed paper centerpieces, 20 pieces of paper confetti, and one foil fringe centerpiece. To add a personal touch to the mermaid tablescape, I made sparkly chocolate seashells and mermaid tales using a Seashell Mermaid Tale Mold and Edible Silver Glitter Spray. The party guests were very surprised that these were chocolates they could actually eat! We ordered a layered Disney princess castle cake, which looked fantastic! With the Disney Princess Happily Every After Cake Topper kit, you get two castle turrets, a castle center featuring Belle and the Beast as well as Cinderella, Ariel, and Rapunzel. I’m not nearly that talented with baking, so instead I had my local Harris Teeter bakery make this for me! The baker had so much enthusiasm and really put a lot of attention into making it! The birthday girl was very happy with her impressive cake! Along with bright pink frosting, it had marble cake inside and was very delicious. To plate the cake, I used the Little Mermaid Birthday Supplies Party Deluxe Tableware Kit because it came with the perfect amount of plates for our guests. Towards the end of the party, everyone took a turn hitting the Disney Little Mermaid Pinata Kit. After collecting candy from the ground to put in their goodie bags, all the party guests sat down to watch the movie while waiting for their parents to arrive. One of the biggest gifts that went along with our Disney party was the Ariel Costume with Sound for Kids. This beautiful princess dress was the perfect gift idea for the birthday party! With summer around the corner, all the mermaid-inspired birthday gifts were perfect! One other adorable gift that the birthday girl adored was the Camille’s Mermaid Tale book and Marvelous Mermaid Outfit for the American Girl Camille Doll! It’s always fun when the American Girl dolls can join in the celebrations too. For more party ideas, follow Theresa’s Reviews on Facebook, Twitter, Instagram, Pinterest, and YouTube. Your Turn! What is your favorite Disney princess movie? Share in the comments! Is ‘Wonder Park’ Kid Friendly? In our house (which we lovingly refer to as The Mermaid Home) we love all things Disney! I can’t pick a favorite, but if I really had to, I guess it would be Beauty and The Beast. The party looks fantastic and she’s such a cutie! Such a cute party and happy little birthday girl! My fave Disney princess has always been Belle…give me a smart girl who loves books and can fight off wolves any day!